Upbeat and dramatic house track with a moodern yet authentic sound; vibrant, urban, and powerful. Similar to Eric Prydz, Tiesto, Armin van Buuren, Avicii, and Zedd. Club anthem with soulful female vocals. Driving energy leads to a vibrant climax in this cool yet powerful track. Similar to Tiesto, Sasha, and Avicii. A European inspired house track with exciting textures and catchy melodies. The perfect sound for a dance floor or upbeat Ad. Similar to Lady Gaga, Zed, deadmau5, and Wolfgang Gartner. Heavy but upbeat synth gives this track driving purpose. Vividly textured melodies and pads build to a dizzying climax. Similar to Ru Paul Sissy That Walk. A Dark, industrial track with tension provided by contrasting synths. Off beat percussive sounds provide an underlying determined tone. Similar to Don't (Don Diablo Remix) Ed Sheeran, How You Love Me (Lush and Simon Remix) 3lau Feat. Bright Light. 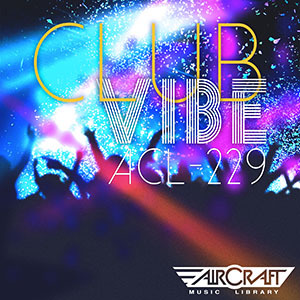 Energetic house groove with an authentic contemporary club sound; playful yet poweful. Similar to Eric Prydz, Zedd, 99 Souls, and Philip George. Indie influenced minimalistic house music combining exotic rhythms and mellow modern beats. Similar to Royksopp, Junior Boys, and Bonobo. Lush, evolving synths and introspective chord changes are contrasted by frantic percussive flutters. A pulsing rhythm propels the music to show stopping climax. Similar to Air and St. Lucia.